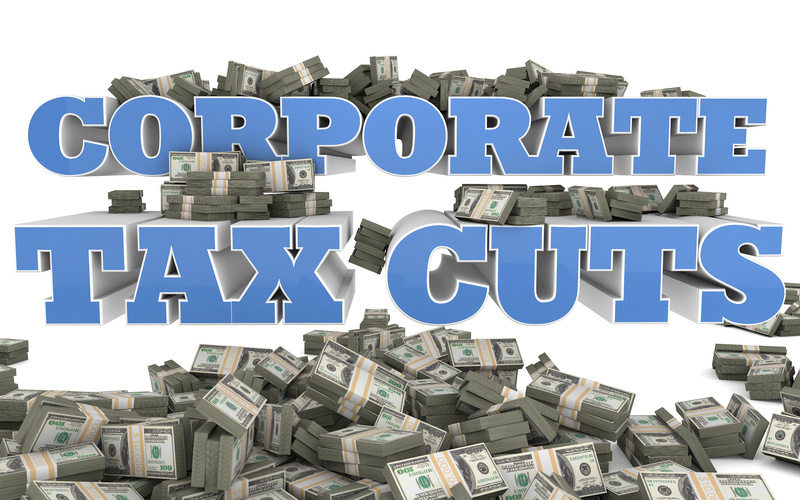 In April, ITEP analyzed the change in worldwide effective income tax rates for corporations in the first quarter, and the two quarters of data that have become available since then confirm our finding: Corporations have received a hefty windfall at the expense of taxpayers. Alphabet, formerly Google, saws earnings before taxes rise from $19.2 billion in the first three quarters of 2017 to $24.8 billion in the first three quarters of 2018, while its income tax bill fell from $3.5 billion in 2017 to $3 billion in 2018. In other words, the company saw its effective tax rate diminish from 18.2 percent to 12.3 percent, amounting to a $1.5 billion windfall in tax savings. Apple saw its pre-tax income rise from $39.9 billion in the first nine months of 2017 to $45.9 billion in the first nine months of 2018, while its income tax liability dropped from $9.5 billion to $6.4 billion, constituting a decline in effective tax rate from 23.7 percent to 14 percent. If the company had applied its 2017 effective rate to its 2018 income, it would owe an additional $4.5 billion in taxes. AT&T reported pre-tax income of $19.1 billion in the first three quarters of 2018, up from $16.4 billion in the first three quarters 2017. Its tax burden, meanwhile, fell from $5.7 billion in 2017 to $4.3 billion in 2018, representing a decline in effective tax rate from 34.8 percent to 22.5 percent and a tax savings of $2.3 billion relative to what it would have owed had its rate remained constant. Bank of America reported $7.2 billion in income tax on $23 billion in earnings in the first nine months of 2017 and only $5 billion in income tax on $25.9 billion of earnings in that period in 2018, a decrease in effective tax rate of more than a third, from 31.3 percent in 2017 to 19.5 percent in 2018. As a result, the company received $3 billion in tax savings over the first three quarters of 2018. JP Morgan saw its earnings before income tax grow from $27.6 billion in the first nine months of 2017 to $31.9 billion the first nine months of 2018, while its effective tax rate fell from 26.9 percent in 2017 to 20.4 percent in 2018. If the company had applied its 2017 effective rate to its 2018 earnings, it would owe an additional $2.1 billion in income tax. Lockheed reported an increase in pre-tax income from $3.7 billion in the first nine months of 2017 to $4.4 billion for that period in 2018, while the company’s effective tax rate decreased by more than half in that period, from 26.3 percent to 12.9 percent, creating a tax savings of $584.2 million. Verizon saw its income increase from $17.7 billion in the first nine months of 2017 to $18.3 in the first nine months of 2018, while the company’s effective tax rate fell from 33.4 percent to 23.5 percent, generating a tax savings of $1.8 billion. It should be noted that the figures given above do not necessarily reflect only changes from the 2017 tax act. Further, these data do not reflect a full year of activity under the new tax regime, and as such might include fluctuations in earnings that are not representative of the company’s overall profitability. Even so, the magnitude of tax savings accrued by these companies speaks volumes.